Let’s continue my occasional, limited series of posts leading up to the STOICON 2016 conference, scheduled in New York City for 15 October. (More info? Here. Tickets? Here. Looking for cheap accommodation with a fellow Stoic? Here.) The idea is to briefly feature each of the scheduled speakers for our talks and workshops so that people can better appreciate some of the leading figures behind the Modern Stoicism movement (is that what it is? ), as well as give their reasoned assent to the impression that this is a conference well worth attending. So, what is “mindfulness”? Sure, you may have heard of it, but can you define it off the top of your head? Give it a try now. How’d you do? You probably got some aspects of it, but likely not all of it. Why? Because there is no one “mindfulness.” It’s a term with a lot of uses, and it means different things to different people. There’s not so much one “mindfulness” — but “mindfulnesses”! 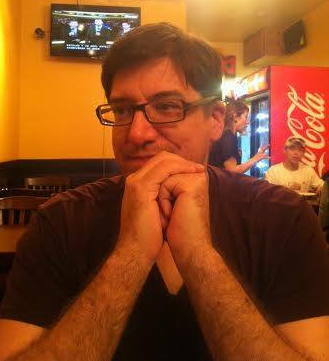 At STOICON 2016, Gregory Lopez, founder of the NYC Stoics and a secular Buddhist, will go through two versions of mindfulness in both theory and practice: sati (Buddhist mindfulness as found in the earliest extant Buddhists texts) and prosoche (the Stoic practice of attention). After STOICON ’16, Greg will also be holding a special post-STOICON meetup. So if you’re from out of town, there’s reason to stick around! Want to learn more about mindfulness? What exactly are the differences between sati, prosoche, and other forms of mindfulness? How does one actually practice sati and prosoche? Find all this out and more by registering for Greg’s workshop at STOICON ’16! This entry was posted in STOICON & Stoic Week on June 7, 2016 by Massimo.